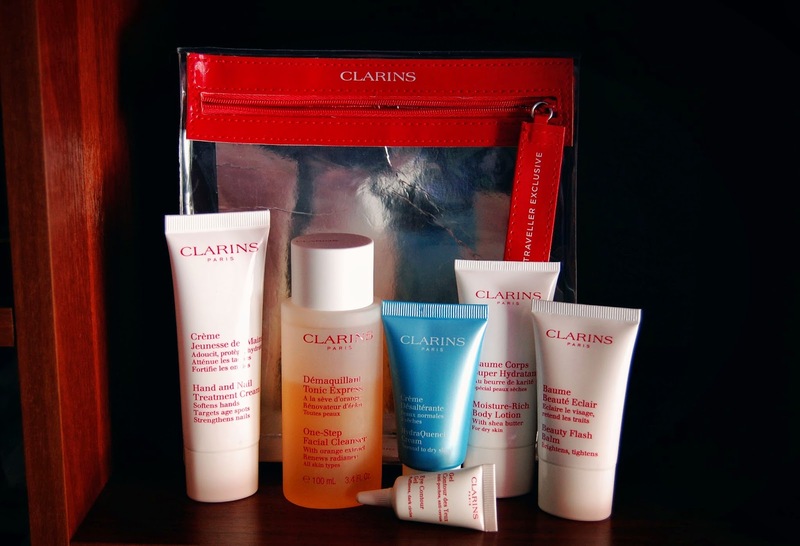 Clarins Take-off Essentials. Vacation Favourites. I picked this up in Duty Free on my way to Thailand. I was mostly excited to try Beauty Flash Balm because I've heard so many good things about it. But eventually I ended up being surprised by the rest of the set. Lets start with cleanser, shell we. One-Step Facial Cleanser was the first item I fell in love with from the first use. It turned out to be a cleanser and a toner in one bottle. So I can make two steps in my skin care routine in one. I did felt exfoliating tigling and warmth but it was very gentle though and didnt cause any irritations. I'm very happy with this product and I'm buying a full size right away. Next most surprisingly impressive item was Hand and Nail Treatment Cream. First time I Applied it over night and didn't notice anything extremely different at the moment. But when I woke up next morning my hands were baby-soft. And I must say this hand cream is better than my, now second favourite, cream from Caudelie. What I found odd about this product is it's smell. It smells not unpleasantly but overly strong. It feels like you are rubbing in your grandma's perfume or Chanel №5 (no offence) and you still can smell it on your hands in the morning. Weird experience but I'm ok with it. Now to the item I was excited about the most - Beauty Flash Balm. I've heard so many good things about this cream. It's claimed as brightening balm that eliminates signs of fatigue in a flash. Well... not so sure about that. It works nice as a moisturiser and I had a good make-up day when I used it. But did it make my skin bright and not dull? No. It did nothing special. Another item that promised me instantly de-puffed and visibly brightened dark circles. Eye Contour Gel that is supposed to refresh, hydrate and rest the delicate skin around eyes. It sure sounds good, especially for the item you are travelling with. But it also did nothing for me. I did not see or feel any difference in my eye area after using this gel and I've seen anti-fatigue creams actually working on me. May be it will work for someone, it's always worth to try. Another item is HydraQuench Cream (normal to dry skin). I haven't found any big promises about this one so it pretty much did what it supposed to do. It intensively moisturizes and protects skin against harmful effects of pollution. Of course you cant see that it actually protects your skin it that way, but I can say that I feel some kind of protected. My skin doesn't feel naked after using this cream. In general I'm pretty much happy with this item and I will consider purchasing a full size version of it. And now last but not liest - Moisture-Rich Body Lotion. Almost bought a full size of it but I already had two luxury body treatments, so I'll keep it on the radar. It retails for standard high-end product's price of 40$. Not cheap but this lotion is really good. It supposed to not only moisturize but also improve skin elasticity and I wanna see if it's true. For now I see that my skin feels very happy about this product, and my nose too, you know, 'cause it smells good. Well, that's all I have to say about this set. I'm glad I bought it and had a chance to try out six cool thigs from Clarins for a lovely price of 50$. 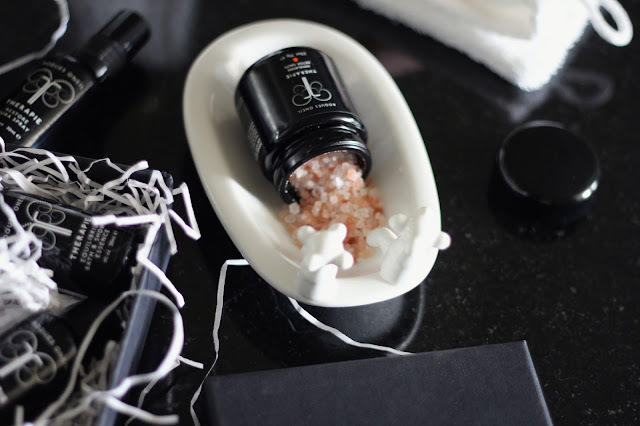 What's in your travel skin care bag?